MAKE CHINUCH YOUR SHLICHUS and train for classroom success! "Having a group of teachers that I could turn to, all dealing with the sameissues has been tremendously useful and comforting." "As the year moved on, behavior issues began to crop up, but I was prepared to handle the worst of it because of my TIP courses"
“TIP gave me an excitement in lesson planning, positive discipline, and help in stimulating the students. MEF made all the difference. The men’s TIP is a one year program for new teachers, that includes an in-depth Summer Intensive followed by yearlong bi-weekly online workshops and lectures, as well as regular virtual or in-person meetings with a trained coach. The program is almost entirely virtual, featuring live, interactive classes that allow teachers to participate from around the world. In addition, multiple Chassidishe farbrengens with guest speakers and visiting mechanchim will take place live in Crown Heights throughout the year. The program is open to all Chabad men teachers both in Crown Heights and out of town. Anchored in specially developed TIP standards, the program will also offer practical homework assignments and evaluations that will ensure that the program participants graduate the program with the tools they need to pursue a career as a Chassidic educator. All program participants will be assigned a mentor. Participation in the coaching element of the program is mandatory. 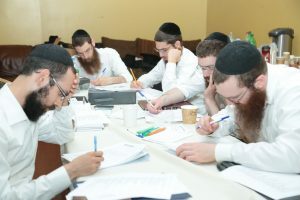 Developed by leading educational specialists, the TIP curriculum covers a wide range of pedagogical methods and progressive teaching techniques for teachers to reach every student, based on the overarching theme of how to become a quality Chabad educator. the Learning, a comprehensive look at standards and assessment. Teachers will complete comprehensive coursework, be evaluated based on their understanding and implementation of the learning, and receive continuous feedback from their facilitator and peers. MEF also provides a mentorship program that connects teachers with educational professionals who observe them in person or via video on a weekly or bi-weekly basis and coach them one-on-one throughout the year. Program participants will be assigned a personal mentor with years of experience, who was fully trained in MEF’s parallel Teacher Coaching Program. Mentors will help teachers test ideas, reflect on their own practices, model effective practices, and navigate tough situations. All our coaches have been specially trained in our TIP standards and will work with their mentees throughout the year to realize specific goals. 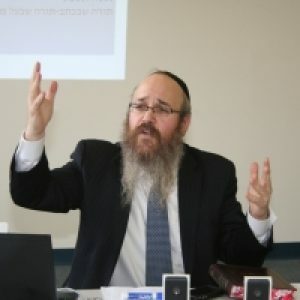 A veteran teacher of over a decade at Cheder Chabad of Monsey, Rabbi Silber is himself an alumnus of MEF’s first TIP cohort and a sought after teacher, mentor and advisor. Today, he directs the men’s division of the TIP.